A pre-race sample was taken from Itz Hooroo Adios. Tooka Half, Sam Whelan and Fallen Star were slow to begin. Fallen Star was checked off Dargo Dasher soon after the start. Itz Hooroo Adios crossed to the rail on the first turn and collided with Lucky's Spirit, Dargo Dasher and Bar The Bullet. Harvey Leigh and Tooka Half collided on the first turn. Sam Whelan was checked off Bar The Bullet on the first turn. Megellas Fairy trialled over 395 metres from box 8, weight 31.0kg, the greyhound was placed first in a field of 4. The time of the trial was 22.65 secs, the greyhound won by a margin of 1 length. Megellas Fairy was cleared. Hurricane Billie trialled over 315 metres from box 1, weight 27.2kg, the greyhound was placed second in a field of 4. 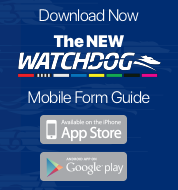 The time of the trial was 18.64 secs, the greyhound was beaten by a margin of 3.75 lengths. Hurricane Billie was cleared. Meehan Phil trialled over 315 metres from box 8, weight 34.5kg, the greyhound was placed first in a field of 4. The time of the trial was 18.64 secs, the greyhound won by a margin of 3.75 lengths. Meehan Phil was cleared. 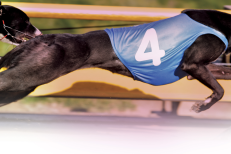 Blackjack Neo trialled over 395 metres from box 1, weight 34.8kg, the greyhound was placed second in a field of 4. The time of the trial was 22.68 secs, the greyhound was beaten by a margin of 1 length. Blackjack Neo was cleared.